Enjoy one of our Lamborghini Rentals the next time your visiting Miami. Choose from different models such as the Aventador roadster, Aventador S, Huracan Spyder, Huracan coupé, Gallardo and Gallardo Spyder. We offer free delivery to Miami international airport, Miami Beach, South Beach, Brickell, Midtown, Downtown, Doral or anywhere in South Florida. Experience the time of your life behind the wheel of the latest Miami Lamborghini rental cars today. If you want to rent a Lamborghini in Miami for a special event such as memorial day or art basel call ahead of time to secure your dream car. The latest Lamborghini rental available in Miami is the URUS. The first Lamborghini SUV is available for rent for a day, week, or an entire month. 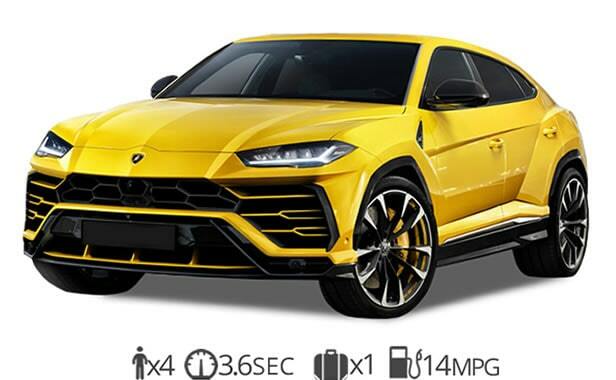 Rent a Lamborghini URUS in Miami and experience the thrill of driving the icon Lamborghini truck down ocean drive. 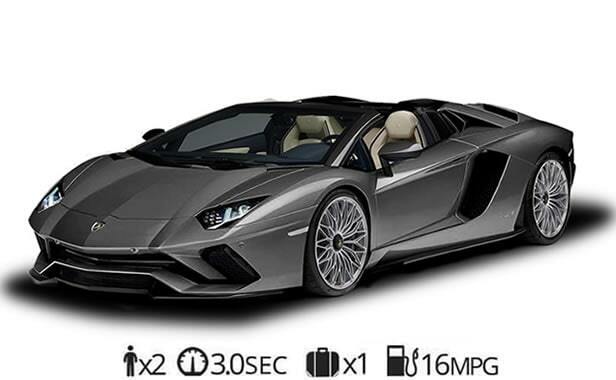 The beautifully appointed Lamborghini rental car is also one of the fastest SUV’s in the world. Get free delivery of any Lamborghini rental to Miami International airport. Take your vacation to the next level by experiencing an exotic car rental in Miami. Rent a Lamborghini Aventador Roadster in Miami and smell the fresh ocean breeze as you stroll threw ocean drive on South Beach. The top of the line exotic convertible rental car is also equipped with the iconic Lamborghini doors and a V12 engine to go along with it. As with all of our Lambo rentals get free delivery to MIA airport. There’s nothing more exciting than experiencing an exotic car rental for yourself. 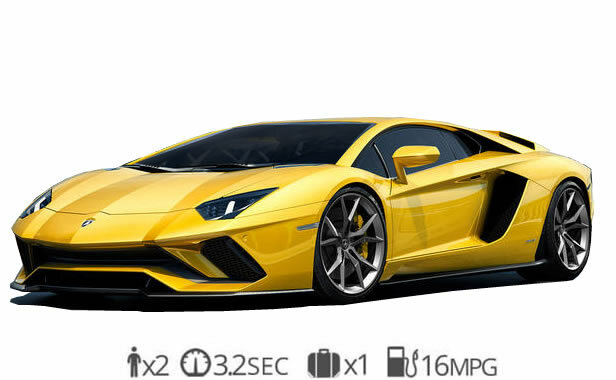 The V12 Lamborghini Aventador S rental is the top of the line when it comes to Italian sports cars that leave a lasting impression. This lambo rental has the signature doors that go up and a powerful engine that roars when you step on the gas. As with all of our Lamborghini rentals we can have the Aventador S delivered for free to Miami Airport. Experience any one of our exotic car rentals and you won’t regret it. 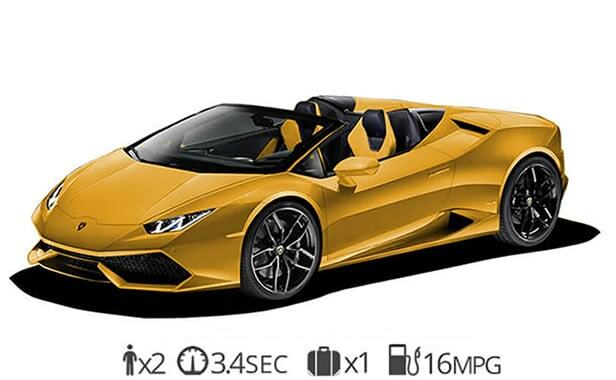 The Lamborghini Huracan spider rental is our most popular Lamborghini car rental yet. It is the perfect Lambo to cruise down South beach in. The Huracan is easy to drive and has a soft top convertible that drops down in a matter of seconds. It is also very fast reaching 60 mph in just 2.9 seconds. 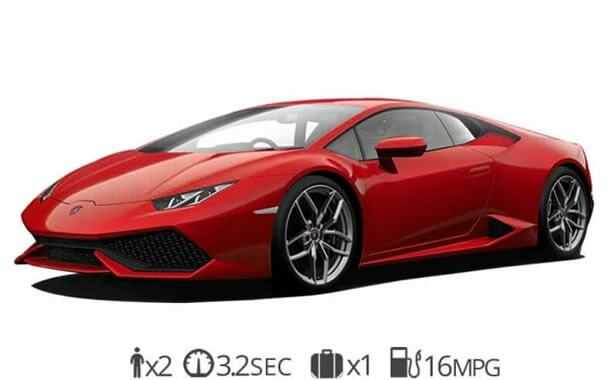 You’ll fall in love with this Lamborghini rental as soon as you hear the V10 engine roar. We can have this exotic car rental delivered for Free to Miami airport. If you prefer a coupe then the Lamborghini Huracan coupe rental should be your number one choice. The Huracan is one of our customer’s favorite cars to rent in Miami. Some car enthusiast prefers the coupe over convertible for its sleeker design. It is also just a little faster than the convertible with a 0-60 time of just 2.8 seconds. Our Lamborghini Gallardo rental is an oldie but it’s still a Lambo. It’s also the most affordable Lamborghini you can rent in Miami. The Gallardo is a great Lambo rental if you want a nice exotic car for the weekend but don’t want to spend to much cash on one of the other exotic car rentals. 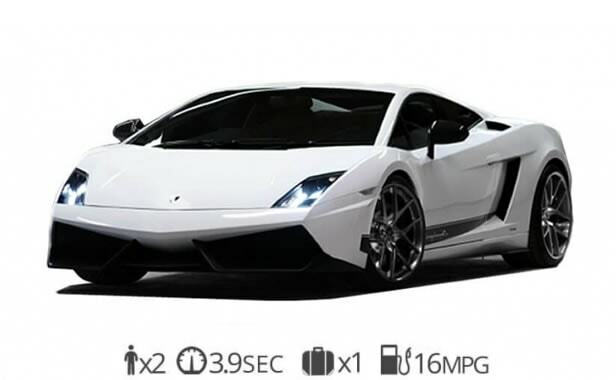 Rent a Lamborghini from a reputable car rental source today. 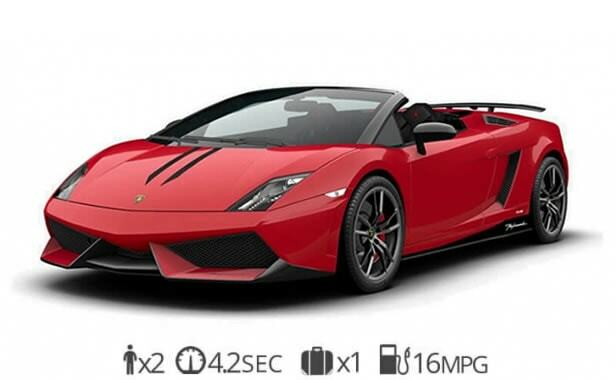 The least expensive Lamborghini rental is the Gallardo Coupe. You can rent this Lambo for just $895 per day. This exotic coupe is a couple years old but it does have a V10 engine. It’s a great deal for Lamborghini enthusiast that want to get a feel for the Italian brand. It provides a fun exotic car rental experience for a reasonable price. This model does not have the Lamborghini doors that go up but it’s still a beautiful car. Ready to rent a Lamborghini in Miami?